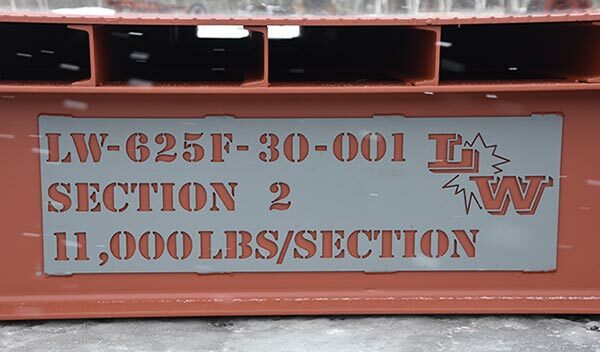 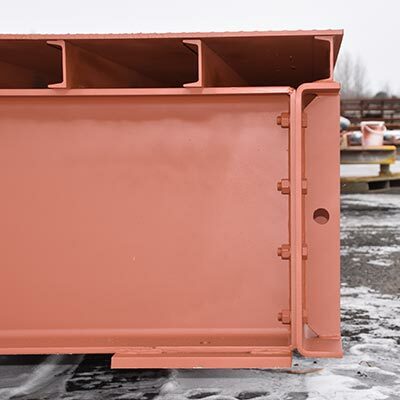 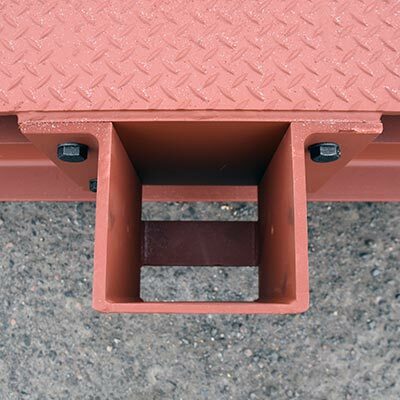 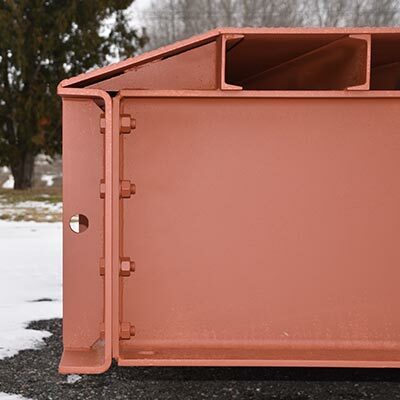 Our modular MUNICIPAL superstructures are designed for use on low volume roads as detailed in the 2016 MTO “Exceptions to the CHBDC; CSA S6-14, for Ontario”. 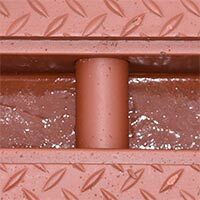 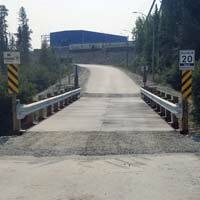 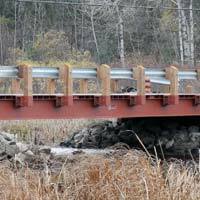 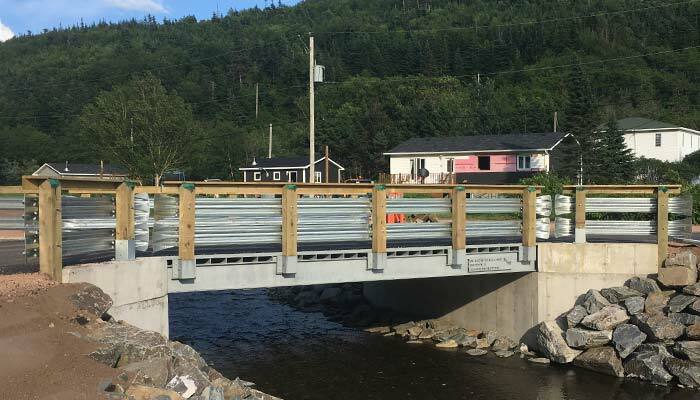 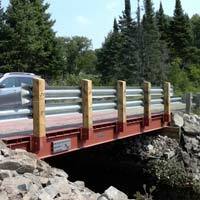 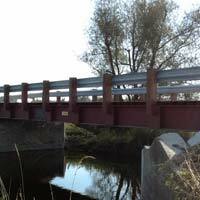 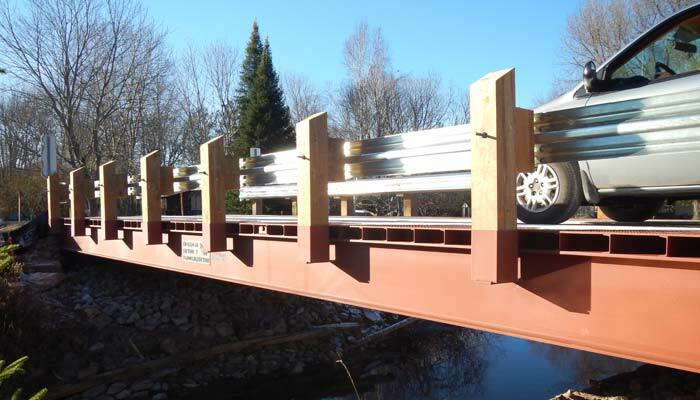 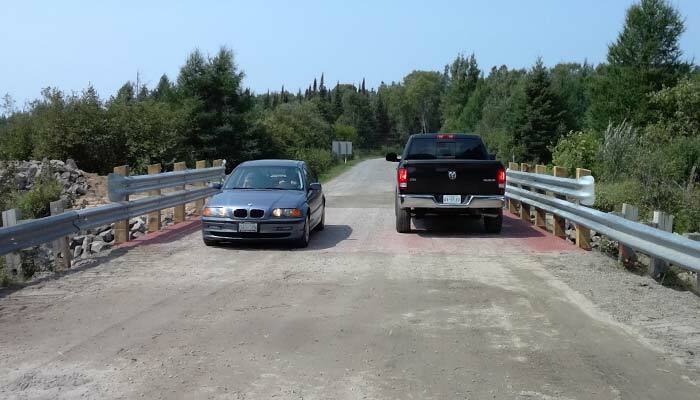 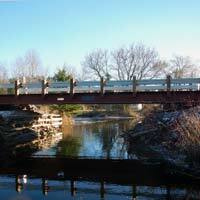 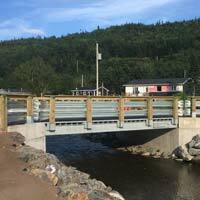 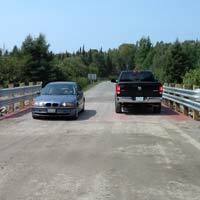 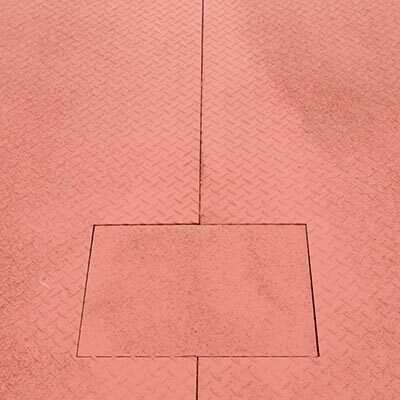 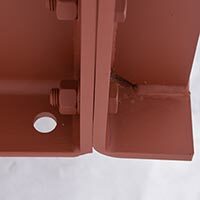 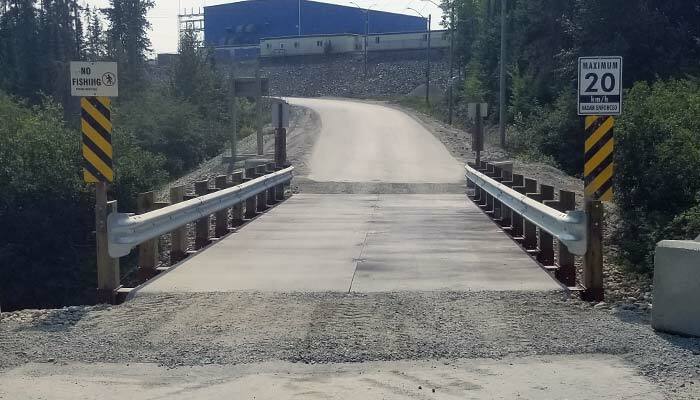 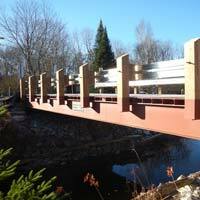 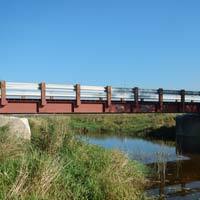 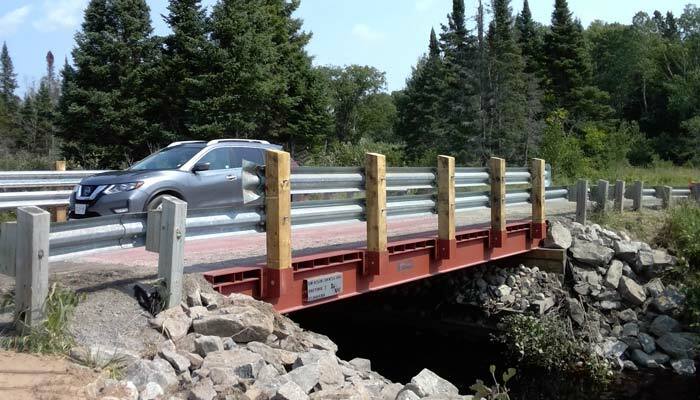 Lessard Municipal bridge products are available in single, single wide and two lane widths. 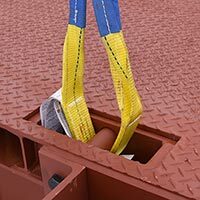 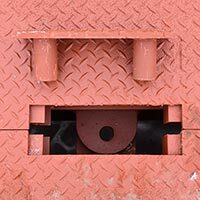 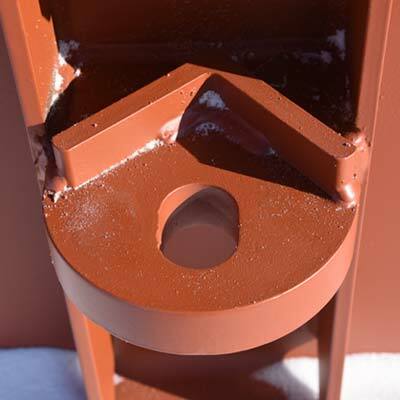 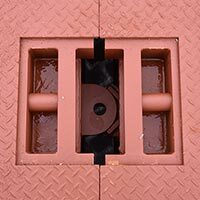 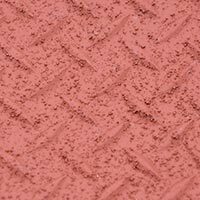 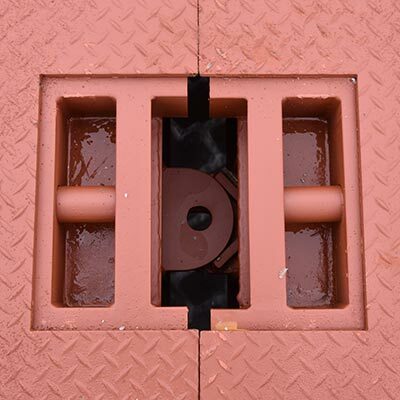 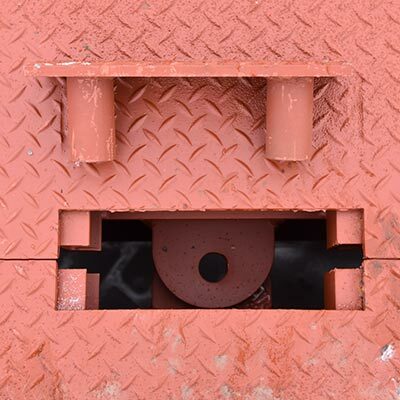 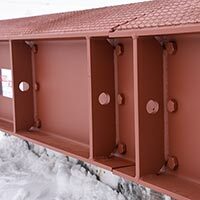 They are delivered in two or three sections and with basic construction knowledge and equipment, can be installed and in use in a matter of hours. 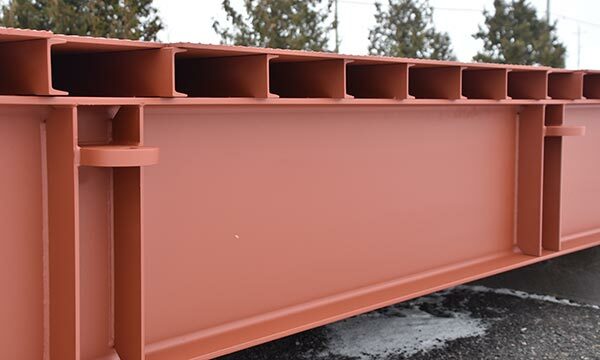 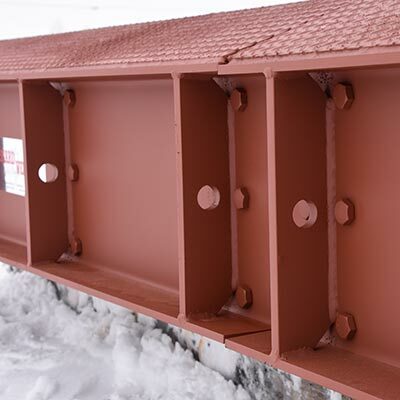 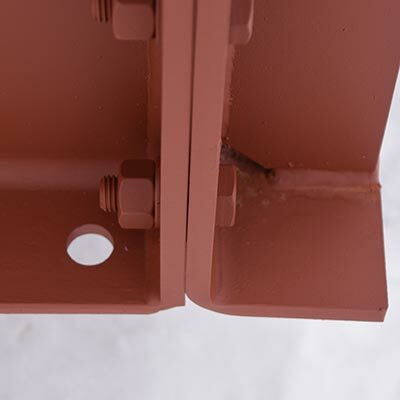 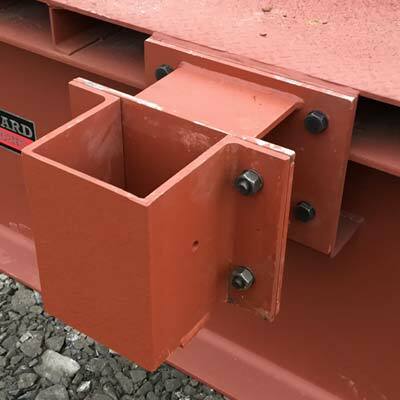 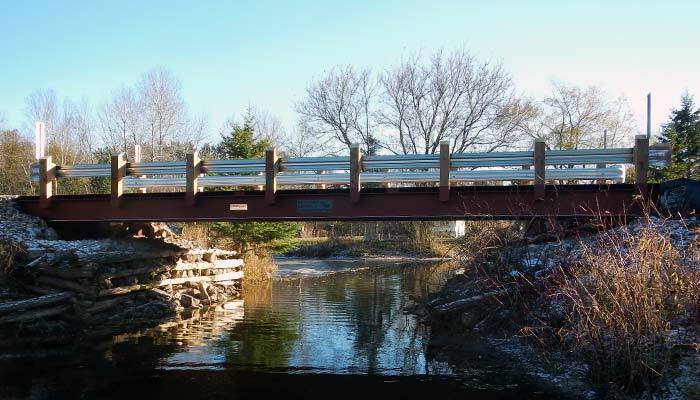 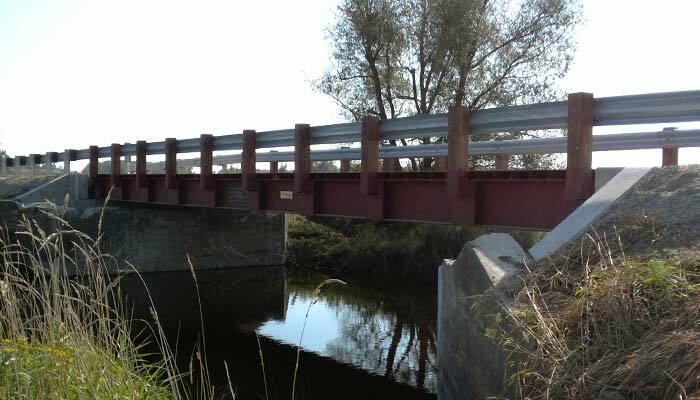 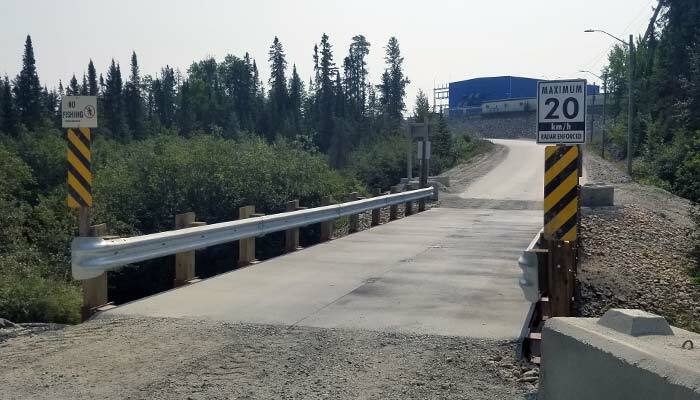 Our modular superstructures are a cost effective replacement for bridges located on low volume roads in rural portions of Municipalities throughout Ontario. 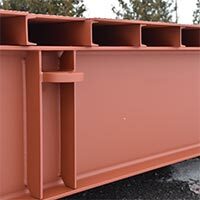 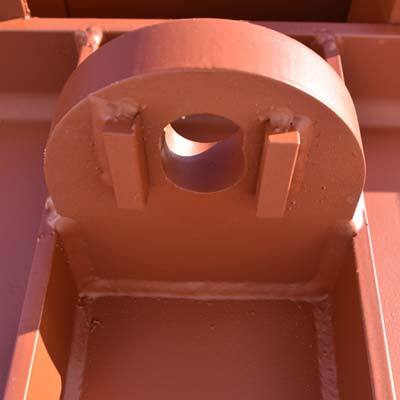 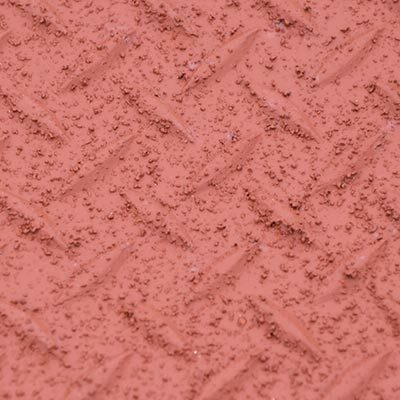 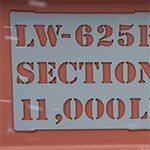 In addition to the standard lengths identified below, custom lengths are also available. 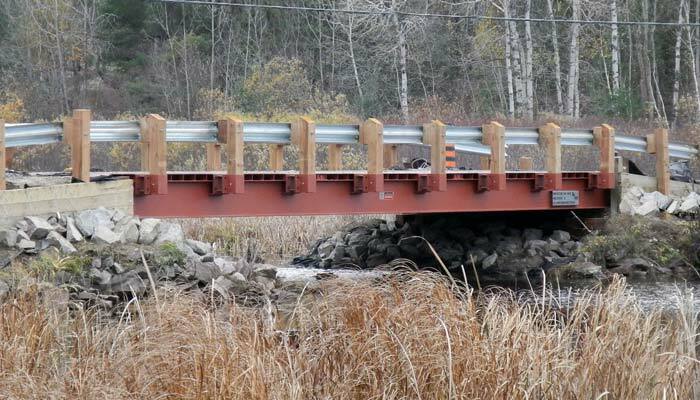 Video showing the same day delivery from Lessard Welding to the construction site west of Shelburne, Ontario and Installation of the Modular Bridge the same day. 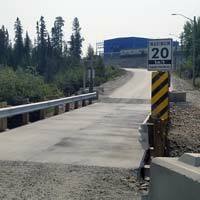 Slideshow video showing the removal of the existing unsafe bridge, the installation of the new modular bridge and the completion of construction within 5 days. 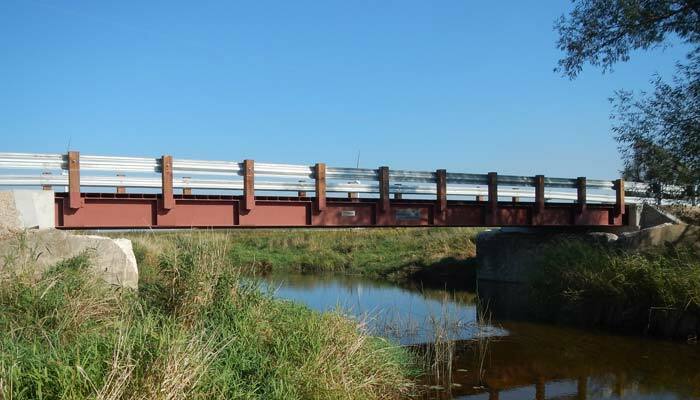 "Single Lane Municipal Bridge - Modular Type (2 sections) - 15' 4" wide or 20' wide"
"Double Lane Municipal Bridge - Modular Type (2 sections ) - 24' 8" wide"